* A process for replacing two vacant posts and one expired seat on the city's Health, Education and Housing Board. * A new ordinance that will regulate unmanned donation bins throughout the city. * A clean air plan presented by the Sierra Club. Chattanooga's long-awaited Family Justice Center will soon officially have a home. But the longer-awaited Chattanooga Public Library Eastgate Branch has been left on the shelf. The new Family Justice Center will be in a large community space, dubbed the Meeting Place, that's being planned on the 900 block of Eastgate Loop, according to the center's director, Valerie Radu. Construction is slated to be funded with nearly $550,000 that had been marked for the library branch. The council will vote on that reallocation next week. 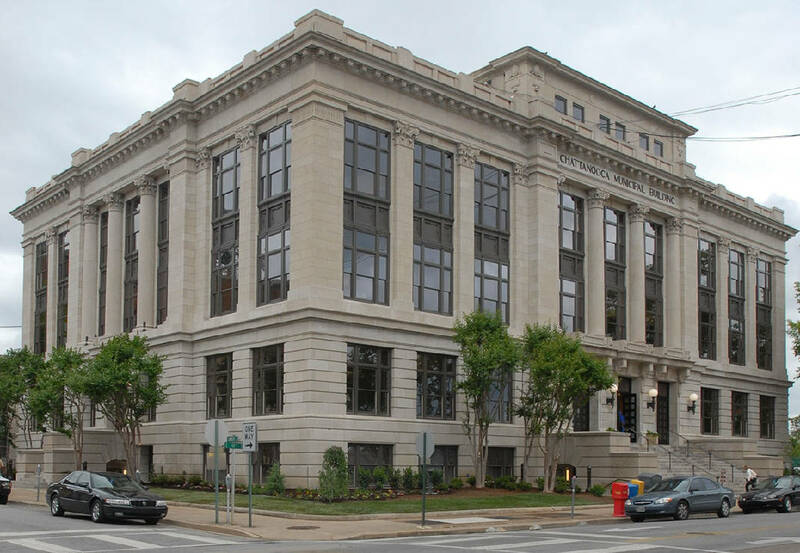 Radu updated the Chattanooga City Council on the planned center Tuesday. She said Tennessee ranks sixth in the nation for incidences of domestic violence, and last year, there were four local homicides linked to domestic abuse and more than 700 orders of protection issued in Hamilton County. Radu and others from local social services hope the Family Justice Center will help bring those numbers down locally and statewide. The city's center will be part of a statewide alliance of seven similar centers. Being situated in a larger community center will be a big help to those faced with domestic violence, because it will offer them an easy, accessible place to find help. Residents will be able to get connected with needed social services while they are taking an exercise class, or a community meeting. "One of the main challenges for people seeking services is there is still a stigma attached to being in a troubled domestic situation," Radu said. Other services, such as the Child Advocacy Center, legal aid and Adult Protective Services will be in the community center, too. The Family Justice Center will open in July, Radu said. Chattanooga City Councilwoman Carol Berz agrees that the Meeting Place will be a perfect venue for social services. The 40,000-square-foot Meeting Place plans will also include a 125-seat auditorium, recreation space, a large commercial kitchen and meeting space, she said. "It's going to be a place in the community for dealing with all kinds of good stuff. A piece of that is going to be a place, a one-stop shop, where people with challenges can come," Berz said. Berz also had been a strong proponent of the library at Eastgate. And years of planning went into it. But she said the library project hit roadblocks, and this was the best use for the money and the space. "As far as [the library's] concerned, they've got their own issues they've been dealing with. And everybody agrees that this was the right thing to do. The city was the one to make this move," Berz said. Lacie Stone, spokeswoman for Chattanooga Mayor Andy Berke, said Tuesday after the meeting there was no current plan to fund the library at Eastgate. Early in the meeting, the council recognized Chattanooga police Officer Ric Engle for the arrest of Julia Shields on Dec. 26. Shields was arrested for reportedly donning body armor and firing a gun at neighbors from her car in the Cloverdale neighborhood in Hixson. She was charged with three counts of attempted first-degree murder, seven counts of aggravated assault, possession of a firearm during the commission of a felony, felony evading arrest and felony reckless endangerment. Police Chief Fred Fletcher also presented Engle with a chief's coin -- a law enforcement honor -- and said Engle made the arrest "by giving her clear commands and ... took her into custody with no violence." Contact staff writer Louie Brogdon at lbrogdon@timesfreepress.com, @glbrogdoniv on Twitter or at 423-757-6481.